During my 3-month stint with the Level Up Apprentice Programme 2017, I had learnt, through trial and error (as well as lots of advice), how vital it is to continuously conduct playtesting and bug-fixing on the game that I was working on as part of the internship. For example, in the pictures below (dated 19 October 2017), you can see that the main character gets pinned down by the boulder block that falls directly on it. Once pinned down, the player is unable to get out of this situation, and would be forced to restart the game. This problem of ColourMapster (CM) getting stuck permanently under the boulder was partially alleviated (on 23 November 2017) by setting the position of the orange sprite (Top Detector) to above the main character and coding it so that when the boulder falls down and collides with the Top Detector sprite, CM’s Bullet behaviour would be triggered, thus pushing the character to the left. However, another problem arose, in that if the character goes backwards into a wall (as per the picture dated 5-8 December 2017 below), CM would not be able to move and the player would end up starting all over again. The solution, which came about after several hours of testing one method after another, was to simply increase the speed of the character’s Bullet behaviour and reducing the amount of time to execute the Bullet behaviour, thus enabling the player to continue from where they left off. 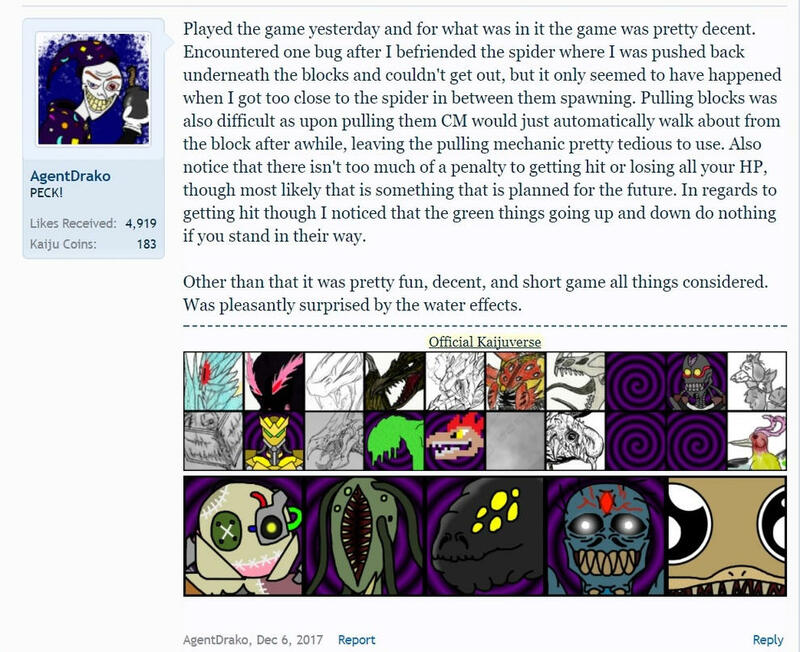 As I had playtests conducted by myself and others for the game that I was working on, I am able to offer you my services as a game tester by way of spotting bugs, reproducing them, and writing reports that explain how to reproduce said bug. 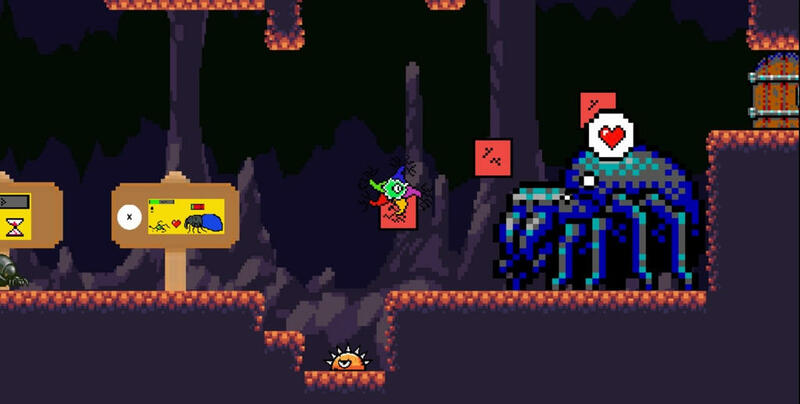 For example, a playtester by the name of AgentDrako from the Sunstone Forums had found, as per the picture below, that upon completely healing a giant spider and jumping up many times, the main character would get stuck in the ‘invisible step’ that becomes visible and solid after a few seconds. However, at that time, I had misunderstood what he had meant, and resolved some other problem that as occurring at about the same time. It was only recently that I had managed to reproduce said bug, and then sought to resolve it as soon as possible, with poor results at first. I was finally able to resolve it on 26 December 2017 by making the steps become Solid first (and then made them visible) after the giant spider has been completely healed, and moved the steps to the left, so that the player wouldn’t accidentally get stuck mid-air after jumping through the blocks.